(Trent Nelson | The Salt Lake Tribune) Scooters have become a common sight in downtown Salt Lake City, Monday Sept. 10, 2018. In the last month, Keith Antognini has witnessed two electric scooter accidents in Salt Lake City. The first happened near 300 South between Main Street and West Temple, when a scooter rider in the sidewalk hit a woman, almost knocking her over and scraping up her leg. The second happened in front of Taqueria 27, a Mexican restaurant on 200 South, when a man on a scooter hit a bump on the sidewalk and fell to the ground, grazing the skin off his legs. 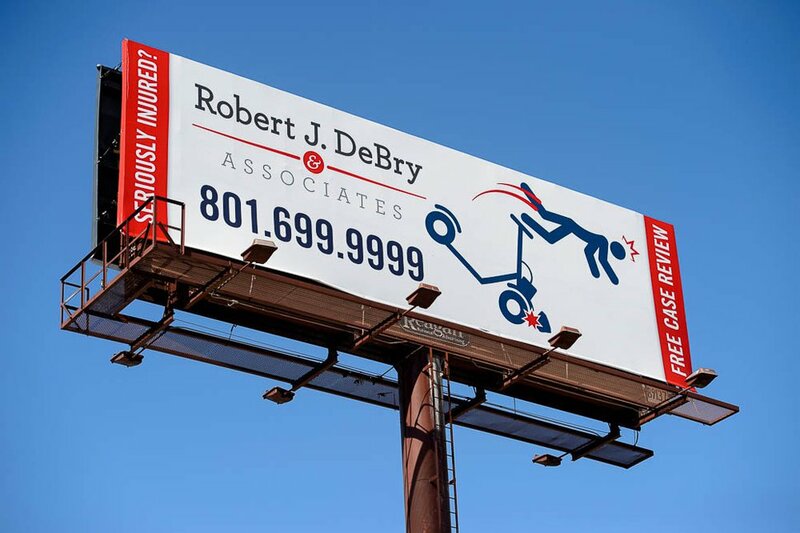 Likely reacting to the supposed increase in scooter-related injuries, Salt Lake City-based attorneys Robert J. DeBry & Associates even took out a billboard advertising its services for anyone involved in such an accident. “Seriously injured?” asks the billboard, which depicts a stick figure falling headfirst off a scooter. “Free case review," it proclaims. (Trent Nelson | The Salt Lake Tribune) A billboard advertising legal services along I-15 in Salt Lake City shows a figure flying off a scooter, Monday Sept. 10, 2018. The company did not respond to a request for comment Monday about whether it has received any inquiries for scooter injuries. But Noman Khan, a spokesman for University of Utah Health, said the emergency room there hasn’t seen an increase in scooter-related injuries yet, and a spokeswoman for the Salt Lake City Fire Department said the same. That may be because the scooters haven’t been around long enough, Khan said. Though there’s no national or local data on scooter injuries, many of the anecdotally reported wounds appear to be related to sidewalk ridership — an issue that Salt Lake City’s Transportation Advisory Committee, which provides recommendations to elected officials about transportation decisions and issues, discussed at its monthly meeting on Monday. Jon Larsen, the city’s transportation director, told the committee that sidewalk ridership remains “by far the biggest concern” city officials face with the new technology. He said they are working with Lime and Bird, the dockless e-scooter companies, to mitigate that issue. Ideas that have been floated so far include sidewalk stencils, social media awareness campaigns, “sidewalk ambassadors” or a way within a company’s mobile application for people to report those exhibiting bad behavior, he said. Larsen told The Salt Lake Tribune after the meeting that while he’s heard anecdotally of scooter-related injuries, the focus should remain on the risk associated with cars moving at high speeds. Overall, Larsen said he’s heard more positive feedback about the scooters than negative — including from some people who said they’ve come downtown for the sole purpose of trying them out. Lime reported that its ridership in Salt Lake City has been growing exponentially. 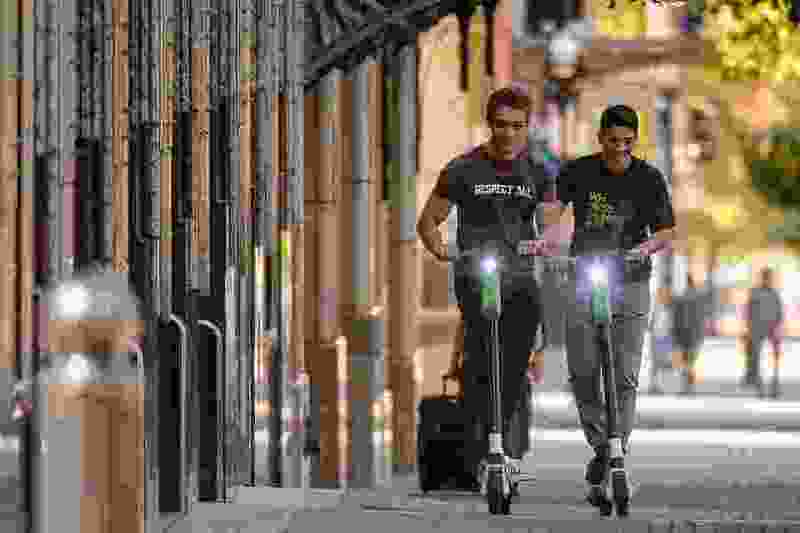 In the two weeks after the company dropped its scooters on the streets, more than 10,000 people rode them. Salt Lake City’s temporary operating agreement with the scooter providers limits each one to placing no more than 500 scooters in the city’s boundaries. But there may be even more on the streets soon. Larsen said a third scooter company, Razor, has obtained a business license and is expected to drop on city streets in the coming weeks. Darren Gross, 57, lives downtown and said he welcomes the new transportation method. Since the scooters are dockless, they help him get around faster than a car could, and their dockless nature allows him to go further than he could on one of the city’s GREENbikes, which have specific docking stations. Brodi Ashton, The Salt Lake Tribune’s Rideshare Diaries columnist, has also weighed in on scooter safety. She recently recounted a scooter trip to Piper Down, a bar in downtown Salt Lake City. During the 17-block journey, Ashton said she fell three times on the uneven sidewalk on State Street and ended up leaving the bar’s trivia night early to keep her blood from trickling onto the carpet. Though some people view sidewalk ridership and the injuries that often result as evidence of an inherent risk of scooters, Salt Lake City resident Mike Christensen views them as evidence of a need for improved bike lanes. Larsen noted at the meeting with the city’s Transportation Advisory Board that developing bike lanes remains a high priority. At the same time the city is working on scooter regulations, the state has also begun exploring the new technology. At its Transportation Interim Committee meeting last month, officials discussed how to bring the scooters into compliance with state code, which prohibits scooter use on roads with posted speed limits higher than 25 mph or more than four lanes — descriptors that apply to many of the Salt Lake City streets where they’re being used.